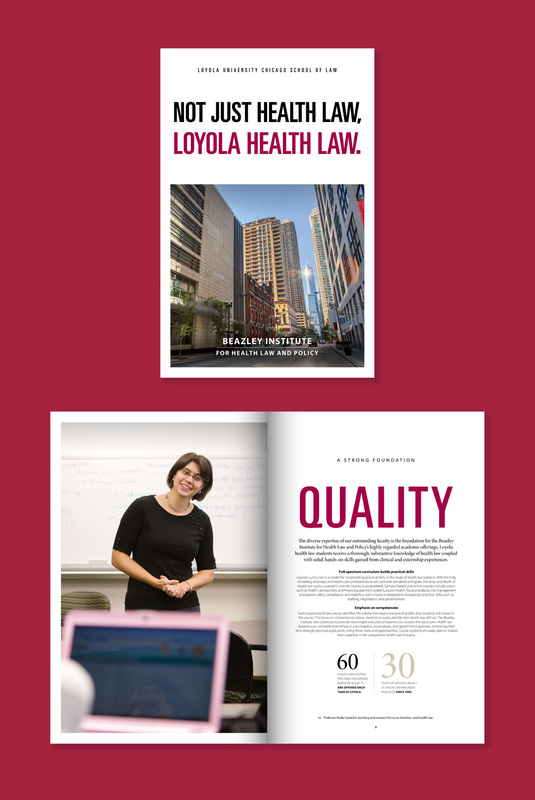 The JD program at Loyola University Chicago School of Law offers an academic experience grounded in the Jesuit tradition of academic excellence, intellectual openness, and service to others. 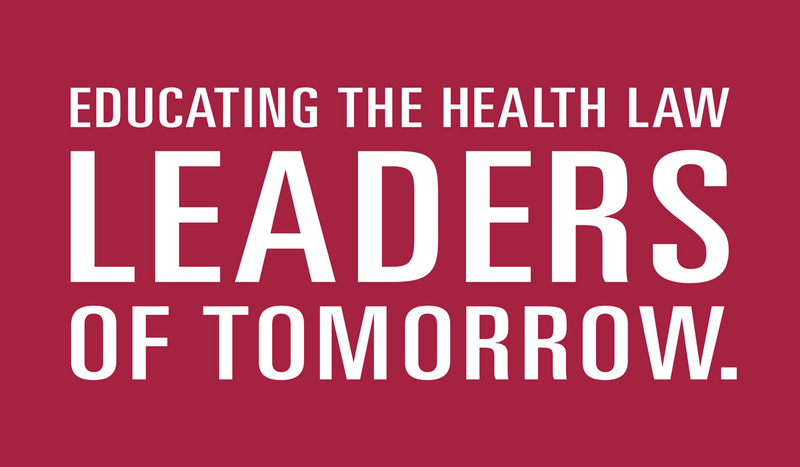 Their mission: to educate diverse, talented students to be responsible leaders in a rapidly changing world, and to prepare graduates who will be ethical advocates for justice and the rule of law. 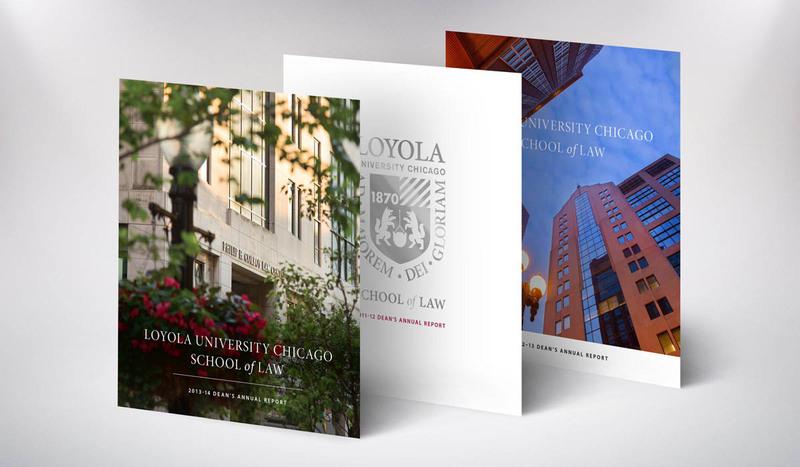 How do you choose a law school? What is it like to be a student? What can you expect when you graduate? 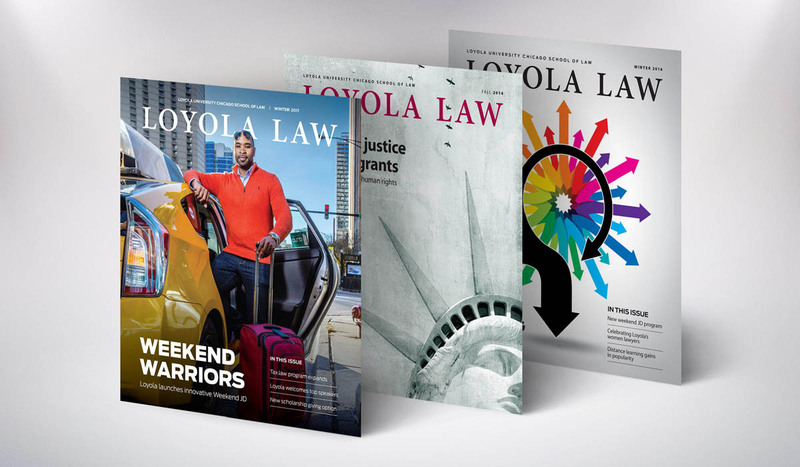 Our work with Loyola University law explores the law school experience from admissions and course material to magazines that focus on unique programs opportunities. 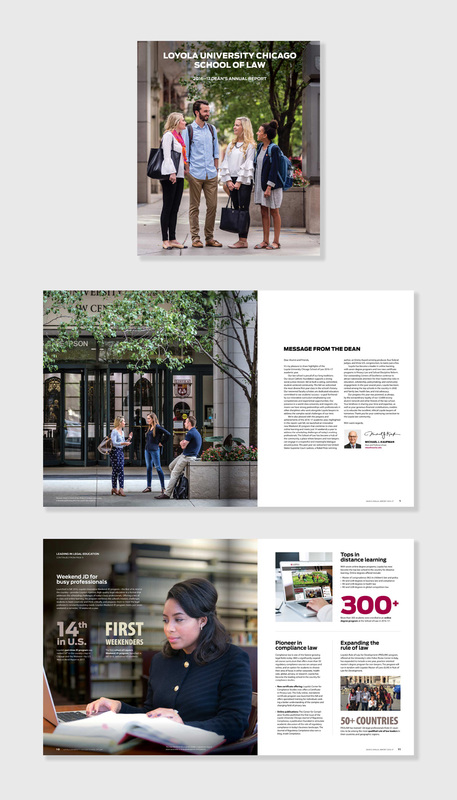 We provide authentic insight and our work captures the inclusive and approachable spirit of the school. 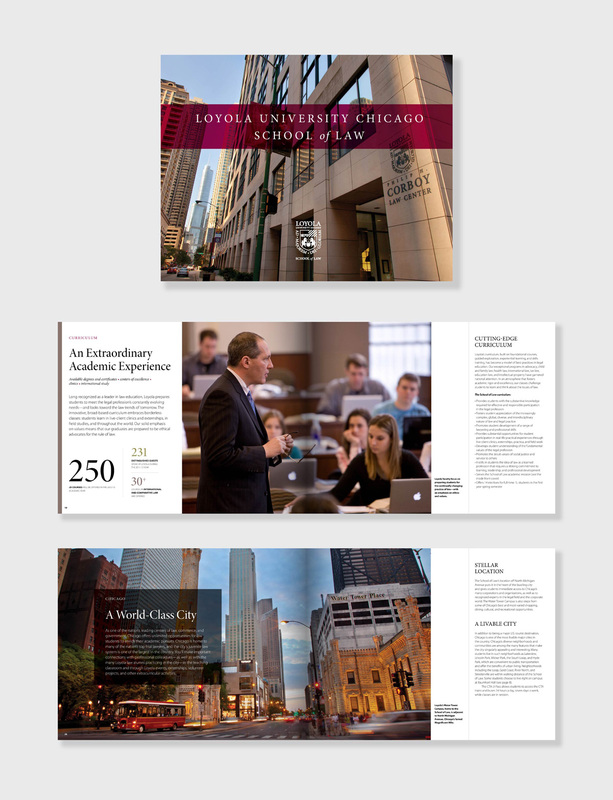 We have had the privilege of working with Loyola University Chicago for more than a decade. It’s a partnership built on trust, respect and a shared effort to produce excellent materials that strengthen and evolve the universities overall brand. The program offers many opportunities for students to specialize and boasts internationally renowned centers, institutes and programs. 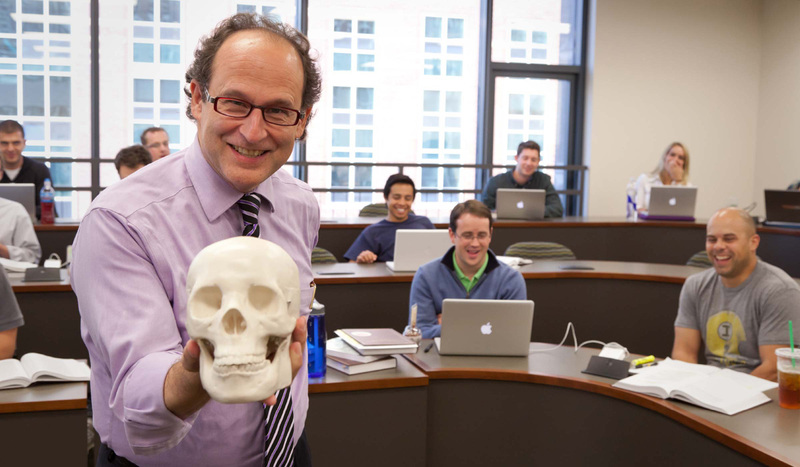 We develop materials to highlight each program’s unique offerings and introduce students to the professors they will work with. Law Schools are defined by their reputations. Each year, since 2006, we have produced an annual report that serves as an overview of the school, its programs, staff and many achievements. The comprehensive publication is designed to highlight critical information that informs numerical rankings that determine the best educational opportunities for students. 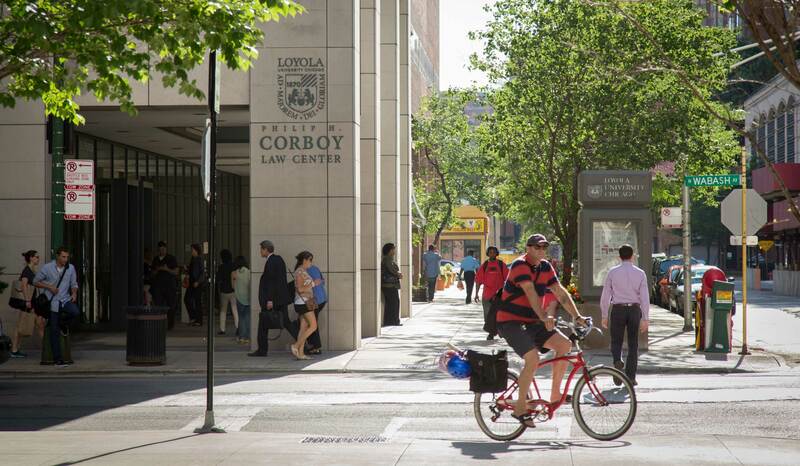 Engaged alumni are crucial to the ongoing success of Loyola Law. 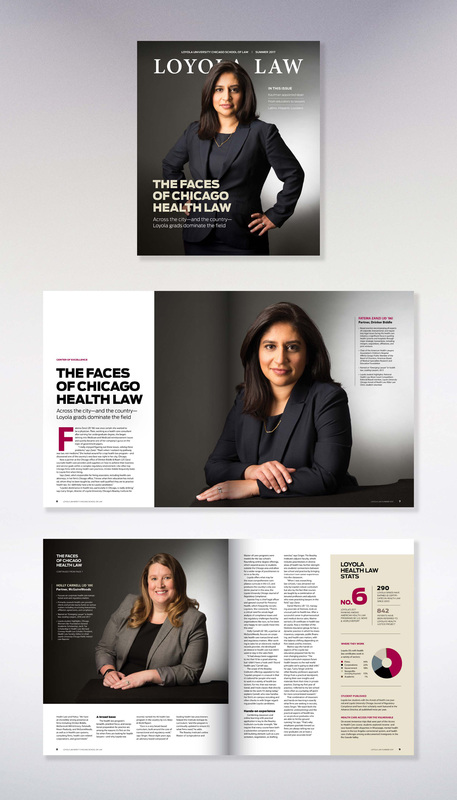 The magazine is a key component of the school’s alumni outreach program. 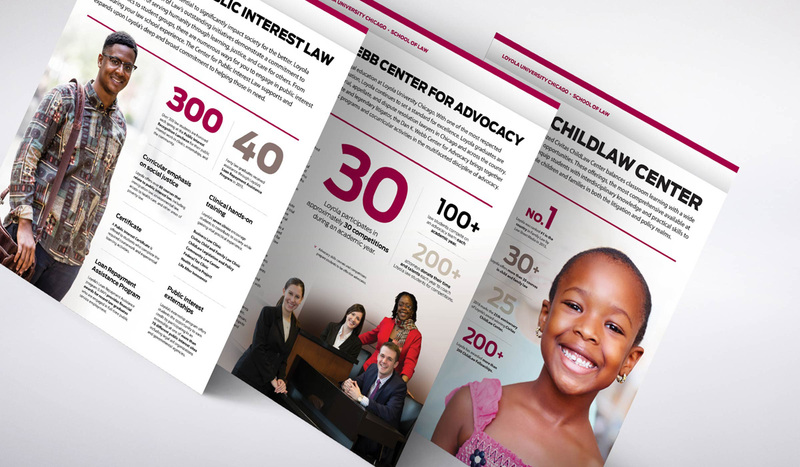 The publication celebrates achievements, showcases leadership, and invites feedback and diverse points of view that enhance programs and the school’s reputation. 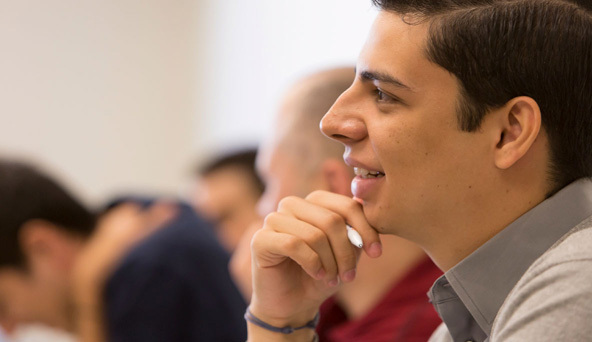 For students, the stories provide insight into programs and introduce opportunities for future connections.